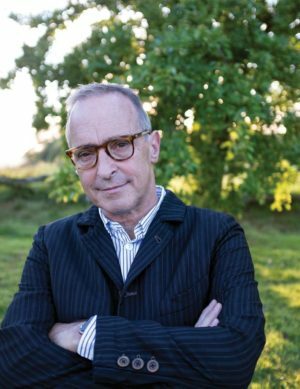 Renowned humorist and New Yorker contributor David Sedaris took to the stage at the Staller Center on Thursday night for an evening of side-splitting humor dug from the innermost corners of his personal life. After being introduced by longtime friend and opening act Jeffrey Jenkins, Sedaris opened the evening with a tongue-in-cheek trigger warning, letting his audience know something vulgar was in store. The essay he began to read just after was a collection of insults people say while driving a car, usually after they’ve been cut off. After years of touring around the world, Sedaris compiled an international database of driving insults. By this point in the show, everyone who wasn’t in shock was in stitches. After loosening up the crowd with his opening piece, Sedaris’ next reading focused on his aging father. While not lacking in laughs, Sedaris’ essay touched on themes of frailty and mortality, and seemed to eek humor out of his father’s idiosyncrasies in old age as an alternative to sadness. Sedaris reflected on growing old multiple times in the show, adding vulnerability and heart to a mostly-funny mixture. After the show, Jesse Hayward, an audience member and IT technician working in Stony Brook, commented on the structure of Sedaris’ performance, arguing that the comedian softened the blow of his more serious material with a whimsical opening piece. Apart from his usual essays, Sedaris spent time reading excerpts from his new book “Theft by Finding,” a collection of diary entries written over the past 40 years. Sedaris has written 157 diaries in total, and has made a career out of their humor and insight. His first appearance on NPR on Dec. 23, 1992 was an eight-minute reading of a diary entry and it earned him overnight notoriety and a job offer to write for Seinfeld. Sedaris’ diary entries touched on his observations and musings about everything from dating, to accidents, to toenails. Sedaris’ diary anthology, “Theft by Finding,” is available online and in bookstores everywhere. Jenkins’ retrospective book on Sedaris’ diaries, “David Sedaris Diaries: A Visual Compendium,” was just published on Oct. 10, and can be found on Amazon and in Barnes and Noble.